Easy to follow gluten free chicken pancetta recipe. 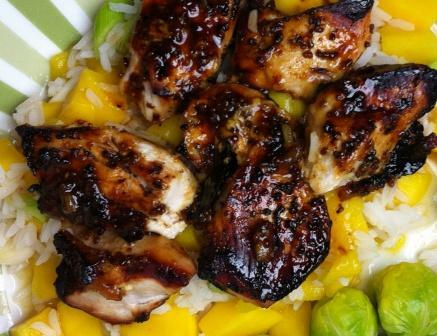 When we first tried this gluten free chicken we were blown away by the flavours and it immediately became one of our favourite gluten free meals. In this gluten free chicken pancetta recipe the chicken is cooked with fresh oregano, basil, garlic and tomatoes and topped with crispy pancetta. 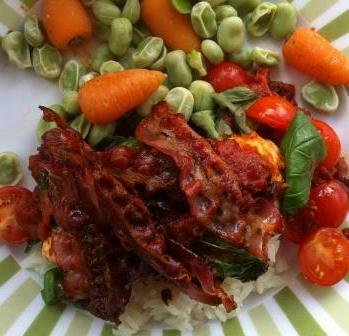 We serve ours with rice and broad beans. For a lovely summer meal you could serve it with mixed salad leaves tossed in your favourite dressing. Whatever you chose, add it to your list of gluten free meals everyone will enjoy. When making gluten-free recipes following a few simple rules will ensure your gluten free chicken stays gluten free, we have some easy to follow tips on our Avoiding Gluten page. This quantity makes six servings of gluten free chicken pancetta. 1. Heat the oil in a pan. 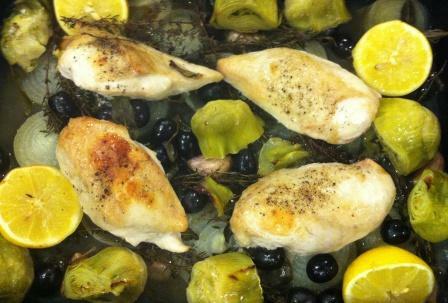 Season the chicken and brown on both sides in the pan. 2. Stir in the chopped garlic, chopped tomatoes, stock and oregano. Simmer for 12-15 minutes turning the chicken a few times during cooking. 3. While the chicken is cooking, heat and non-stick frying pan and lay the pancetta in it and crisp on both sides. You may need to do this in batches. 4. When the chicken is cooked, add the cherry tomatoes and chopped basil into the chicken mix. Let the tomatoes soften. 5. Serve topped with the crisp pancetta and the whole basil leaves.